Moles, or nevi, are so common that virtually all adults have at least one. In fact, many people with lighter skin naturally have dozens of moles. Along with other types of skin lesions and growths, moles may be removed for health reasons, because they’re irritating, or even for aesthetic reasons. 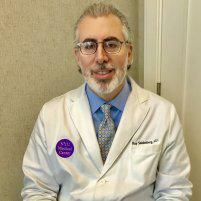 Board-certified dermatologist Roy Stern Seidenberg, MD provides comprehensive skin lesion care, including mole removal, at his renowned dermatology practice in Manhattan, New York City. To find out more, call or book your appointment online today. What are moles and skin growths? Any bump, ulcer, sore, growth, or pigmented area on your skin is classified as a lesion. Moles are one of the most common types of lesions. These small pigmented spots can appear flat or raised, smooth or rough, and can occur anywhere on your body. Other types of lesions include warts and sun spots; actinic keratosis (AKs), the small, crusty bumps caused by long-term sun exposure, are a relatively common skin growth. Cancerous spots, including basal cell carcinoma, squamous cell carcinoma, and melanoma, are all considered lesions, too. Why are moles and other lesions removed? Skin lesions can be removed for a variety of reasons, ranging from medical to cosmetic. Oftentimes, lesions are removed as a way to help diagnose or rule out skin cancer. For example, a suspicious-looking mole may be excised so it can be sent to a lab and biopsied. AK lesions are often removed because they have the potential to develop into cancer over time. Warts may be removed to prevent them from spreading or because they cause irritation or discomfort. Mole or lesion removal is an in-office procedure that’s typically performed with a local anesthetic. The type, location, and size of your lesion are the primary factors that help determine which method is best for removal. Primarily used for bumps and similar lesions that rise above the skin, this procedure uses a small blade to cut out the lesion. Simple scissor excision is a similar method that may be used for more pronounced raised lesions, including raised moles. This method is used to remove moles and lesions that extend down into the deeper layers of skin. It usually involves removing a small margin area of normal tissue around the lesion, particularly when cancer is a concern. Skin excisions are often closed with stitches. This technique destroys the tissues of skin lesions by freezing them with liquid nitrogen. It’s generally used to remove warts and AK lesions, but it can also be used to remove moles. How can I tell if my moles or growths are harmless? Any mole or growth that’s especially dark or has changed in appearance should be looked at. Signs of melanoma, the most dangerous form of skin cancer, include moles or spots that have grown rapidly, have irregular borders, or are itchy or tender to the touch. Age spots and warts are almost always benign lesions that don’t require medical attention. If you have any questionable looking moles or lesions, see Dr. Seidenberg as soon as possible.